The Martlets never trailed in the game, though the Stingers managed to keep it close in the first half, at one point only trailing by three. This all changed with a string of three McGill three-pointers courtesy of forward Gabriela Hebert and point guard Françoise Charest—ending the half with a 37-25 lead. “I think we played really well by moving the ball and finding open shooters,” said Martlets head coach Ryan Thorne. 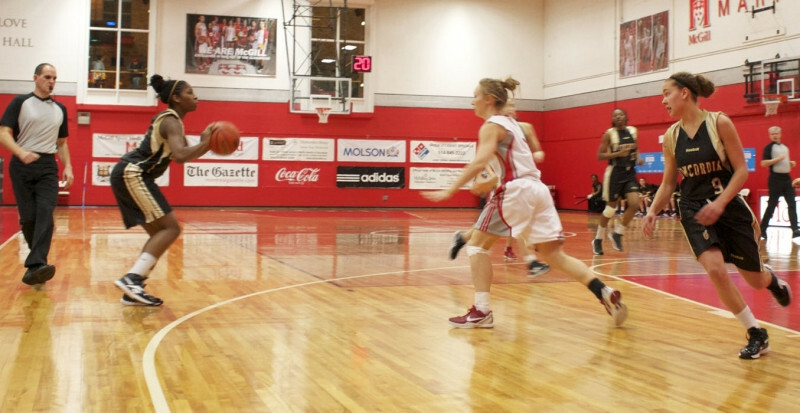 The Martlets would take this momentum into the second half, outscoring the Stingers 22-4 in the third quarter alone. “It didn’t matter who we were putting on the floor, we were getting flat performances,” said Purden. The Stingers battled it out in the fourth, but couldn’t manage to pull out of the hole they had dug themselves, resulting in Concordia losing not only their second straight league game, but their first-place ranking in the Réseau du sport étudiant du Québec standings as well. Pruden believes inexperience may have been a factor in Thursday’s loss. “It’s a very young team really. We have only one fourth-year player, we play a lot of rookies a lot of minutes, and we showed our lack of preparation today,” he said.